Review Nothing has caught the imagination of techies of late as much as the Asus Eee PC has. Its tiny dimensions, unique design and true bargain-basement price has rocked the laptop business to the core. 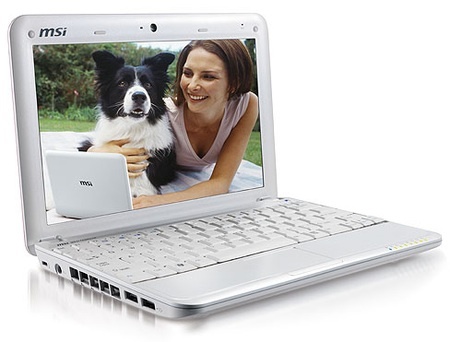 The first-generation Eee PC had more than its fair share of critics. The most common complains centred on its poor battery life and a screen so small it threatened to recalibrate your eyesight. In response, Asus briefly released the larger Eee PC 900, and on 1 July its successor, the Atom-equipped Eee PC 901, will make arrive over here. Asus may now have the near-perfect product, but its rivals are circling ominously. Earlier this week, we tried the Eee PC 901 and declared it the best of the current crop. HP’s MiniNote has an astoundingly good keyboard, but it’s slow and comparatively pricey. The Acer Aspire One looks good and is excellent value, but it’s lacking in quality and usability. Dell’s upcoming machine ticks all the right boxes, but its launch has been delayed. 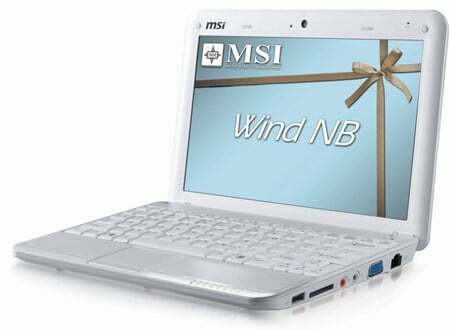 At this point, the MSI Wind breezes in, offering a mixture of style, affordability, usability and surprisingly good quality. At £329, the Wind can’t match the throw-away £229 price of the original Eee PC 701, and is still a tenner more expensive than the 901. But with a bigger, 10in screen and a good specification, it still represents a bargain in the world of ultraportable laptops. Granted – it’s not a world away from cost of a 15.4in desktop replacement, but then it's not fighting for the same buyer. If you need portability above all else, the Wind promises plenty. The Wind’s 10in display is surrounded by a thick bezel, which also houses a webcam and a single microphone. With a resolution of 1024 x 600 – the same as its 8.9in rivals – the Wind's display is sharp enough to show Windows XP without the need for some frantic scrolling. It’s a lot brighter than the panels found on other Small, Cheap Computers, and colours are reproduced with impressive accuracy. Analysis What good is that? Take one telecoms company into the shower?